Samantha is a Houston native with over 10 years experience in guest care and customer service. Her journey with Green Apple Salon began in 2016, when she was hired on as a part-time receptionist. During her early days in the salon, she focused mainly on helping her peers fill their books and grow their clientele— while also learning the Aveda rituals and product lines. Green Apple management, who allowed her to travel and attend classes and seminars to better assist the desk, encouraged her to further her education and delve deeper into salon life. 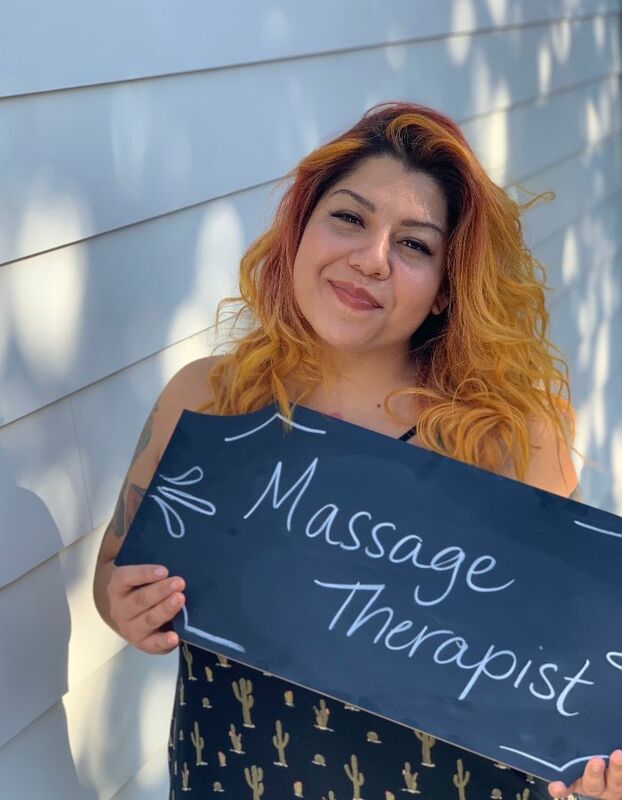 Following a few months of in-house education, she was promoted to Salon Coordinator and eventually moved on to pursue her own certification in massage. After a short hiatus, she returned to the desk as a coordinator, but she also brought with her— a Massage Therapy License! Now enjoying the best of both worlds, Samantha spends her days at Green Apple Salon making sure each guest has the best experience possible, whether she’s at the front desk or in the therapy room.